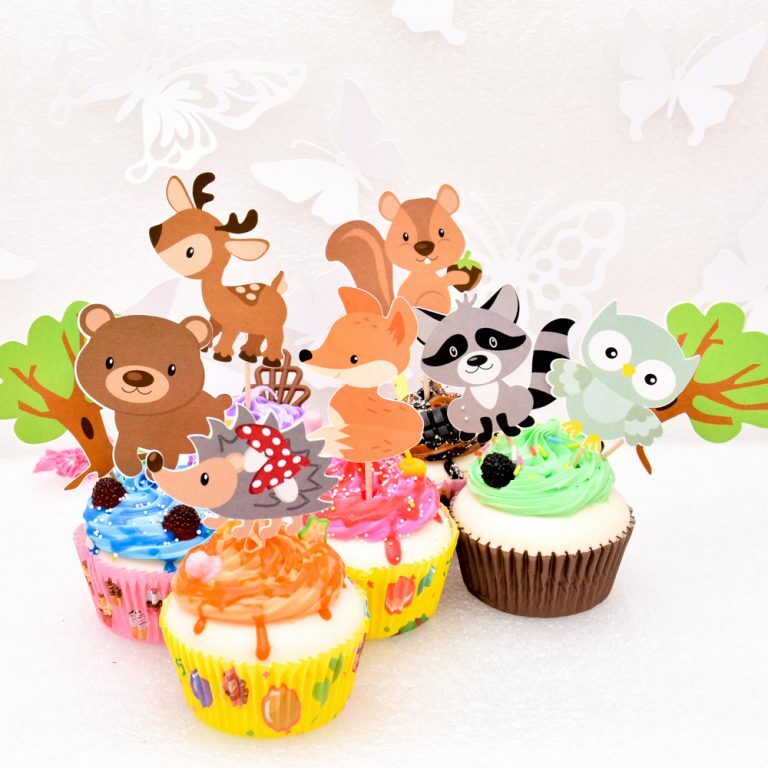 Set of 18 woodland theme birthday cake toppers. Add to cakes, muffins, ice-cream or anything else you can think of, and keep them as part of your baby scrapbook. Handmade from card stock paper, these toppers are just what you need to make your party stand out. 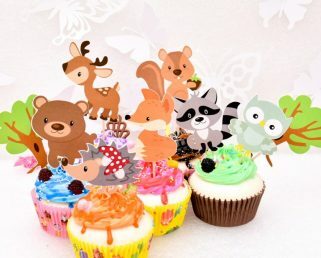 – cake topper size – 2″ forest friends animals and 3.5″ with a toothpick. 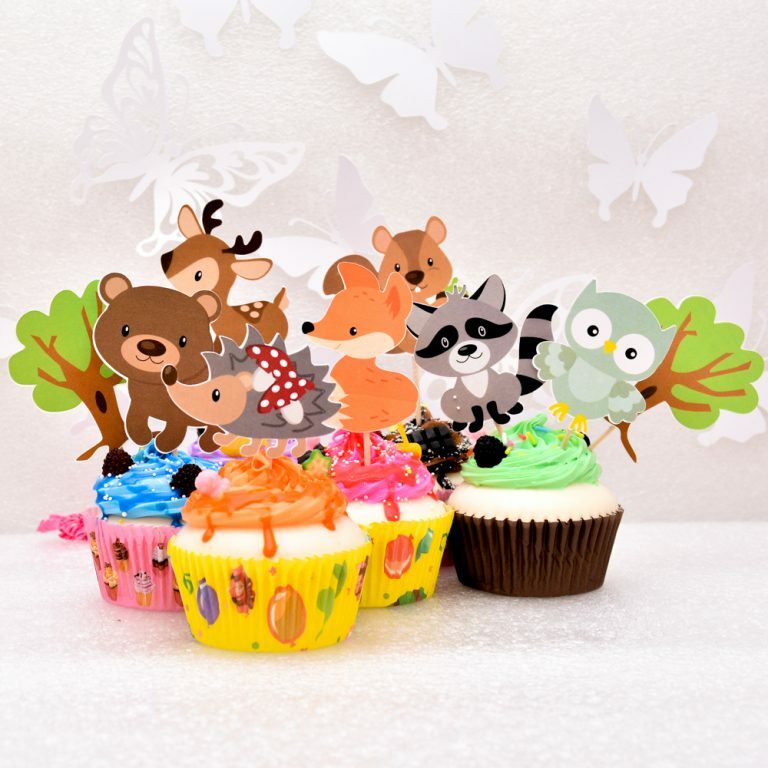 Please note: candy labels and tags not included.